The IVC Filter attorneys of McSweeney / Langevin are representing individuals who have been harmed by any Bard IVC filter product. These devices are commonly used to treat pulmonary embolism. If you or a loved one has been injured because of a Bard IVC filter, give us a call for a free legal consultation. We can help. Bard introduced its first IVC filter, the Recovery IVC Filter System, in 2002 to prevent pulmonary embolism in patients who cannot be treated through anticoagulation therapy. Over the next few years, Bard received many reports of fracturing filters. When filters fractured, broken pieces would sometimes embolize and cause serious injury or death. In 2005, Bard responded by replacing the Recovery IVC Filter System with the Bard G2 IVC Filter. The company stated that the new filter would be more fracture resistant and a safer product in general. Unfortunately, Bard’s updates to its IVC filter products have not fixed the problem of fracturing IVC Filters, and the FDA has received reports of fractures in a number of Bard IVC Products. 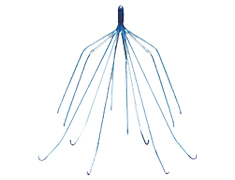 Due to recent research into these devices and reports made by physicians and consumers, the FDA has told physicians who recommend the use of IVC Filters toconsider the risk that they pose to individual patients instead of choosing the IVC for all patientsthat are ineligible to receive anticoagulation therapy. Doctors have also been advised to remove the filters once symptoms have diminished. A study performed by William Nicholson, M.D. and researchers at York Hospital in Pennsylvania looked at the safety of Bard IVC filters.The study found that 16% of Bard Recovery and 12% of Bard G2 filters had fractured.Of these fractured pieces, nearly three-quarters had traveled to the heart where they were capable of causing serious side effects including rapid heartbeat, fluid buildup, and sudden death. Many lawsuits have already been filed because of the harm caused by Bard IVC filters. These suits have recently been centralized in the District of Arizona through a process known as multidistrict litigation. This is not a class action lawsuit. Your Bard IVC filter lawsuit will be unique, and you will be compensated in a manner that reflects your individual circumstances. Multidistrict litigation benefits parties by preserving court resources and saving clients money. If you or a loved one has been harmed by a Bard IVC filter, now is the time to act to make sure that you get the compensation you deserve. Give us a call. We can help.